These days, the phrase “words are cheap” stands out even more than ever. Words truly are worthless, flowing easily through the lips, glossing over even the worst of situations. Finding the people who are truly sincere has become harder and harder, making many, including myself, easily cynical. Has anyone ever really trusted a politician? I believe that the country of Belize is undergoing a mass crisis. The faith in our leaders has been broken. Despite the bleak outlook of the world economy, the fact that the country is in the hands of people who have never had experience leading is what has caused many of the problems. People were so eager to get rid of the previous, and extremely corrupt party, they never actually paused to judge the criteria of those who were to take their place. The elections were meant to give a breath of fresh air and clear out the stale cloud of despair that previously blanketed our country. Instead, now we are faced with noxious fumes of deceit and corruption again, with the entire crony-ism back into effect, just as it was before the general elections. We have all gone from feeling hope and looking forward to change, to once again hanging our heads in defeat, acknowledging that despite every promise – change is the last thing to expect. One thing is abundantly clear, having the passion and drive does not mean experience and savvy. Even the politicians might have gotten carried away with grandiose promises, and now are faced with the reality of a broke country, and many people around them who are simply in it for their own benefits. It’s time to start growing up. There is still time to fix the situation. No matter who is in power – the politicians need to remember who put them there – the people. Right alongside the politicos are the business leaders and investors whose main interest involves making money for themselves. The little people have no value, except in situations where they have become so desperate they will sign on to ridiculous low pay, extremely hard work, and no real future to look forward to. An education doesn’t even take one very far anymore. Many businesses are family run, so despite the hard academic work of students, it’s probably a guarantee that the class clown who barely scrapes by will be inheriting Daddy’s firm, turning around and hiring said smart kid to do menial work, for low pay. Or working for foreigners who truly are allowed to get away with murder. I once listened to Politician Y talk about how he got voters to listen. He put fear in them, using their ignorance and saying things like, it’s Politician X who is causing the prices of oil to go up, and he is the reason that flour is not available in the country. Never mind that world oil prices were dictating world prices. Never mind that the flour shortage was being caused by circumstances beyond anyone’s control, the voters listening were so fired up, they just turned vicious and pretty soon, Politician X was responsible for Junior’s failing grades, the cheating wife and the reason husband went to drink everyday. Never mind that that it was actually Politician Y who was providing Junior with some rum for him and his friends, making him look cool, and he took care of the boozing with the husband, and made sure that the wife was being kept happy as well. All in all, three votes were guaranteed. And Politician Y was actually proud of his work. Those are not the people we want running our country, but if it is happening in this day and age, what does that mean in remote places where politicians are considered gods? What does that mean, knowing all these situations, yet just bowing down and shouldering on? Are we just a resilient people, used to the abuse, and just trying to carry on with life? What happens when that job we’ve held on to for so long is given to little Junior, or an outsider who will do it for less money? Will we fight back, knowing that even our government will delay the process of compensation? When will we stop and say ENOUGH? When will we fight back? And what exactly can one do to “fight back”? What does the word fight back mean? I will be the first to admit that I am chicken. Fighting is not my style. Coups, revolutions, insurgence and the like make me positively quake in my boots. I prefer to write letters. But if one is truly honest, the politicians probably read our letters of fury and despair, roll their eyes, and head off to watch TV or sleep in their nice cushy chambers. (Insert your fantasy/ideas here). What can be legally done to make them realize that change is necessary and expected IMMEDIATELY? Can a re-election be called? Who on earth would we put in power? Who would be immune to the easy money being flung by filthy (literally) rich investors? Who would demand that foreigners all go through the same method to become Belizeans? 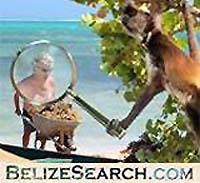 Who would monitor foreign owned businesses and see that they actually hire Belizeans, not two-month old so-called Belizeans? Who would actually listen, and instead of making promises, lay out plans that will work in the long run? Would the people be patient enough to wait for slow but guaranteed positive change? It is a question each and every one of you needs to ask yourselves, and for goodness’ sake, be honest with yourself. Rome was not built in a day, and Belize is going to take a lot more than a five year term to bring it up to par with the real world. Can you wait?